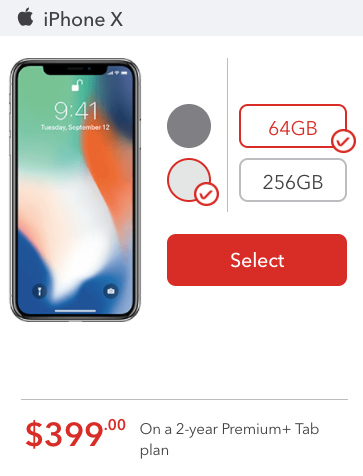 Rogers appears to be offering a deal for some existing customers, with the deal seeing last year’s flagship iPhone X available for $0 upfront. After getting that offer I asked to speak with a manager of retentions to see what can be done about the down payment on the phone. They came back with $100 extra off so $229 so I said yes. As the manager was typing it in and finalizing it he advised that he could bring it down to zero. So thats what is going on. This appears to be a rare YMMV (your mileage may vary offer), but for those willing to spend time on the phone with Rogers retentions, it might be worth a try. The iPhone X 64GB costs $1319 outright on its own. 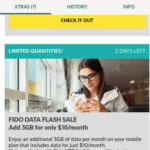 Despite the huge YMMV factor of this offer, it’s not impossible, as Rogers flanker brand Fido is currently offering a ‘win back’ offer of a $29 iPhone X with the $60/5GB plan. Let us know if you’re willing to call Rogers retentions for this possible iPhone X offer.